In this riveting biography of Elizabeth Seton critically acclaimed and bestselling author Joan Barthel tells the mesmerizing story of a woman whose life featured wealth and poverty, passion and sorrow, love and loss. Elizabeth was born into a prominent New York City family in 1774. Her father was the chief health officer for the Port of New York and she lived down the block from Alexander Hamilton. She danced at George Washington's sixty-fifth Birthday Ball wearing cream slippers, monogrammed. Catholicism was illegal in New York when she was born; Catholic priests seen in the city were arrested, sometimes hung. When Elizabeth and her wealthy husband Will sailed to Italy in a doomed attempt to cure his tuberculosis, she and her family were quarantined in a damp dungeon. And when Elizabeth later became a Catholic, she was so scorned that people talked of burning down her house. 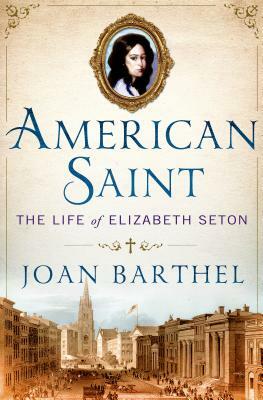 "American Saint" is the inspiring story of a brave woman who forged the way for the other women who followed and who made a name for herself in a world entirely ruled by men. Elizabeth began the fight for women's rights in the church that is still being fought today, and the publication of her story could not be more timely. Maya Angelou has contributed the foreword.